My husband and I love Halloween! We dress up every year with the kids. 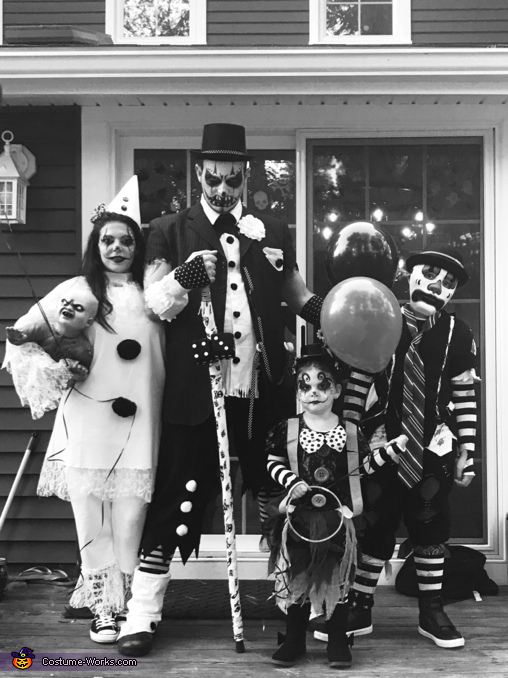 This year I wanted to be a clown family. I bought my daughters costume and my costume then made my husbands and sons to match! I painted all of our faces except for my sons who doesn’t do makeup, lol! My husband costume was made out of one shirt and an old suit of his. My sons wax made out of T-shirt’s and sweatpants! This was our best costumes yet!